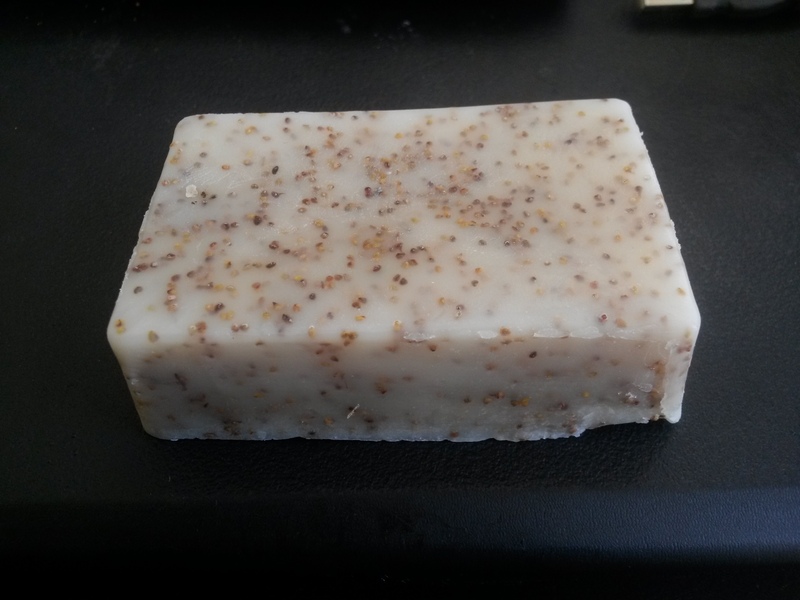 This is a hand made soap with mango butter, shea butter and cocoa butter added. It has strawberry seeds to exfoliate the skin and remove dead skin leaving your skin soft and smooth. Great for using on the face as well as the body.